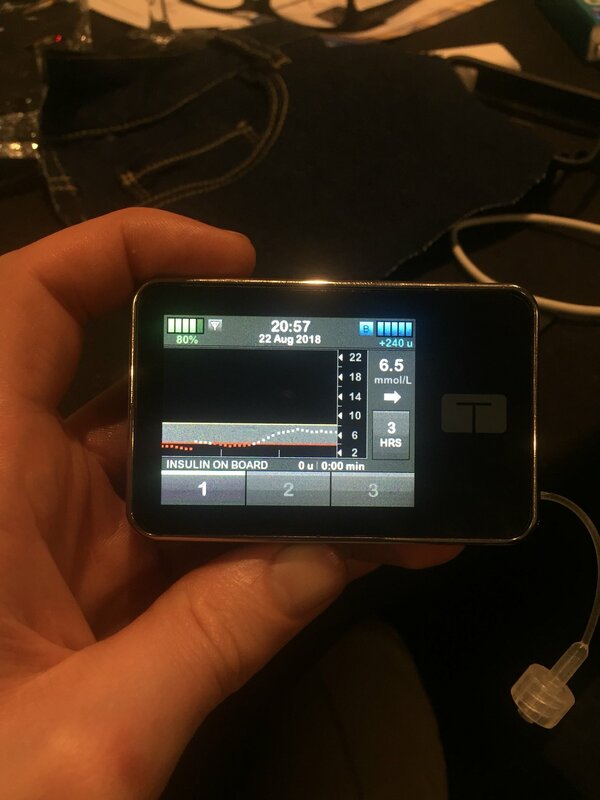 Medtronic Diabetes made an announcement last week regarding their 670G hybrid closed loop system, and last week I had a chance to catch up with the team at the Australasian Diabetes Congress to clear up some of the confusion. 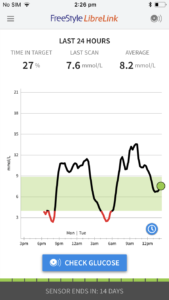 Medtronic’s 670G hybrid closed loop system consists of an insulin pump and a CGM that, when combined, will automatically adjust basal insulin based on CGM readings to regulate blood glucose levels. Of the many hybrid closed loop systems currently in development, Medtronic’s is likely the closest to hitting the market. 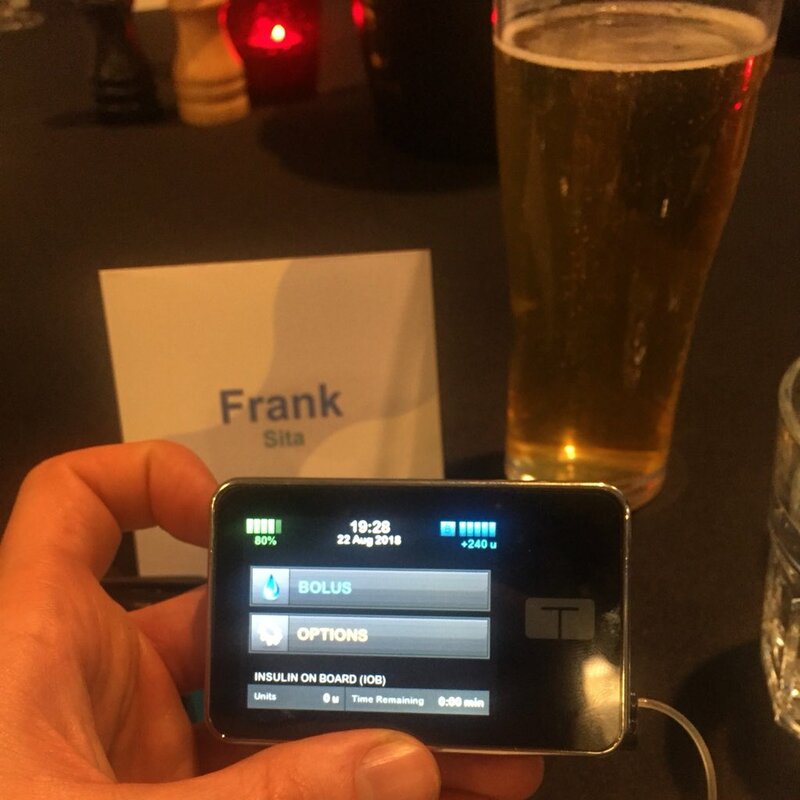 Last week’s announcement was the approval of the 670G insulin pump. 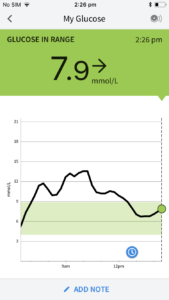 What has not been approved, however, are the CGM sensors that are compatible for use with the 670G pump. Without approval of the sensors, the system is not yet available for use in Australia. 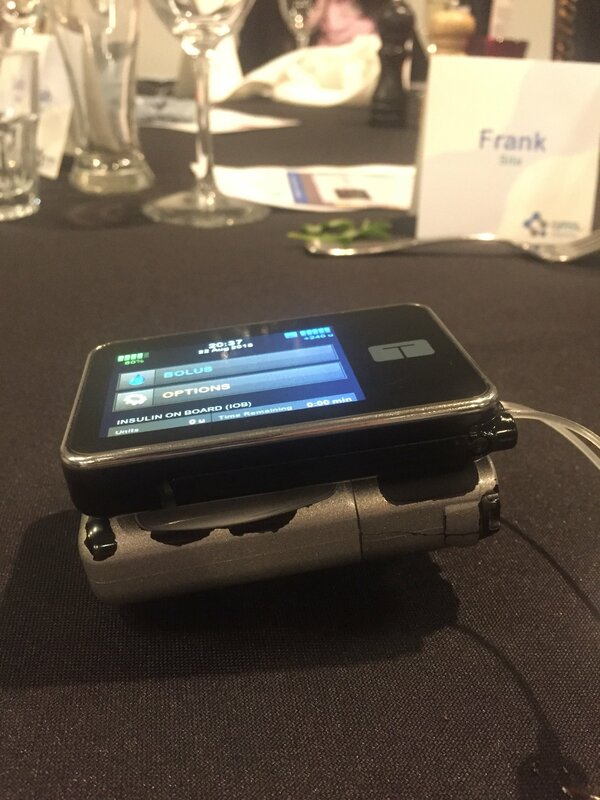 It’s hard not to overlook the fact that AMSL were also launching the Tandem t:slim at the time of Medtronic’s announcement. 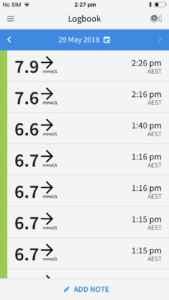 We have relatively new options in Cellnovo and YpsoPump, that are also shaking up the pump landscape here in Australia. Medtronic’s hybrid system is now available in the US. Clinical trials undertaken with this system have been going on in Australia for quite some time. Melbourne endo David O’Neal presented some early clinical trials back at Diabetes Advocates Day last year. I have spoken with a few people who have trialled this system – both blinded and unblinded – and their reactions have clearly been life changing. The 670G system can be used in both manual and auto (hybrid closed loop) mode. 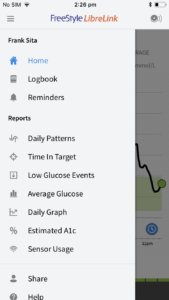 My understanding is that the user will need to use the pump in manual mode for a few days for the system to collect insulin data, before being able to switch to auto mode. 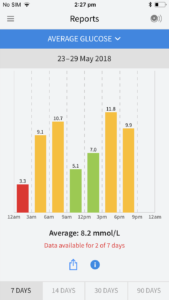 Most notably, this system will only correct blood glucose levels to a target of 6.6mmol/L. For some, this target will be fantastic, while for others it won’t be acceptable. I see this reason as twofold. Firstly, this ‘safer’ target range likely makes a system of this nature easier to receive approval. Secondly, this will also pave the way for Medtronic to sell an enhanced system down the line with a better blood glucose target. I believe that there is a 690G system in the pipeline already! During the Congress, several clinical trials undertaken using the 670G were referenced. CDE Sue Wyatt told us that there was still another six months to go in a study she was referencing with the 670G system, which was rather telling about a timeframe for approval of these 670G compatible sensors. 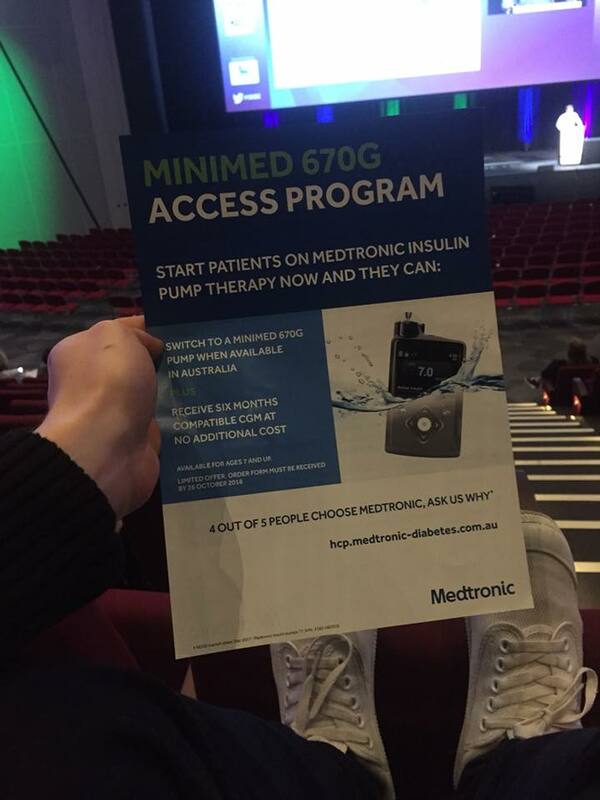 Medtronic are currently offering new customers who take up insulin pump therapy (currently a 640G system) a free upgrade to the 670G system when it is approved for use in Australia. 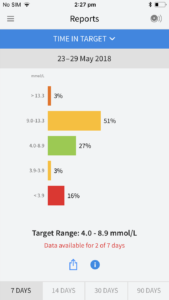 New pumpers are also being offered six months of free Continuous Glucose Monitoring with no further obligation, which can be used anytime between now and March 2019. Despite being told that Medtronic were committed to making the latest technology available to people with diabetes, this offer excludes existing Medtronic customers – including our very own DAPeoplesVoice team member Melinda Seed. Having recently upgraded her pump, she will have to wait four years before having the option of this system available to her. Shall we start a #670GForMelinda? Another criticism would definitely have to be the size of this pump. 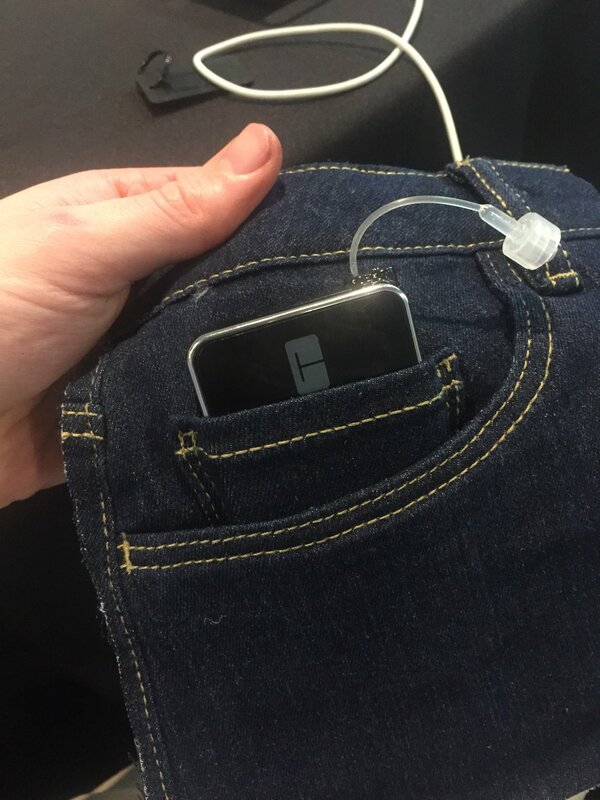 Many users have expressed disappointment that Medtronic have been making their insulin pumps larger than previous iterations. After briefly holding the 640G pump on show, it stacked up bigger than my late Animas Vibe, YpsoPump and t:slim I played with last week. I also don’t regret highlighting to Medtronic the importance of not making Multiple Daily Injections feel shameful in marketing their products. Admittedly, it has been some months since I have seen such material surface and I do feel that they are taking this feedback on board. One year ago, the insulin pumping landscape was looking very dire for people with diabetes. 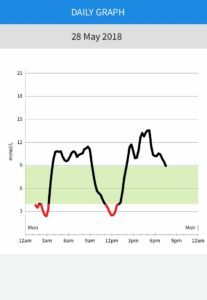 Today, we have a several choices for people considering insulin pump therapy here in Australia. At the end of the day, more choice for people with diabetes is always a good thing. Disclosure: Diabetes Australia covered my travel, accommodation and registration to attend the Australasian Diabetes Congress. My time, including the annual leave I had taken from work to attend, was my own. These opinions are also my own and do not reflect those of Diabetes Australia.